At Amazon Web Services (AWS), we give you and your customers access to an unprecedented breadth of product functionality that can enable your business in new and exciting ways. 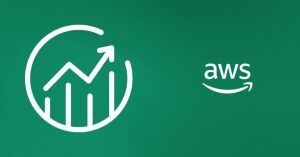 As such, AWS Partner Network (APN) Partners have the unique challenge of not only enabling their customers to grow their businesses, but also managing accounts, resources, and costs at scale. When it comes to costs, AWS provides a number of products out of the box that can help customers get started managing costs and usage. This includes AWS Cost Explorer, AWS Budgets, and the AWS Cost & Usage Reports. Since it’s still the season for making New Year’s resolutions, we wanted to help you by having a quick back-to-basics discussion about using the Consolidated Billing feature in AWS Organizations to gain greater visibility and control over your AWS costs and usage. In this post, we’ll outline the benefits of consolidating accounts to manage costs at scale, as well as introduce you to products that help gain visibility into the costs incurred by individual accounts. You are the expert when it comes to your own business. Crafting your account strategy when partnering with AWS requires balancing the unique billing, payment, and compliance requirements associated with your customers. As you grow and scale on top of AWS, it often makes sense to consolidate some or all of your accounts into a single billing entity. For APN Partners, this is especially true as you can realize many benefits by consolidating all of your accounts. One bill with increased visibility across all accounts: If we were to ask whether you prefer to understand your business’ cost portfolio in a “unified” or “piecemeal” manner, we bet you’d prefer the former. Consolidated billing allows you to do exactly this—access information regarding your total cost and usage footprint from a single location, allowing you to decide where you would like to dive deeper. Greater cost savings: AWS analyzes usage incurred across all consolidated accounts with the purpose of finding ways to maximize customers’ cost savings. For example, if 10 of your customers are operating as standalone accounts, they’ll be assessed prices based only on their usage, which can lead to them missing out on discounts associated with volume pricing and reservations, such as Amazon EC2 Reserved Instances. However, if you were to combine these 10 accounts into a consolidated billing family using AWS Organizations, the usage associated with each account is factored in during the discount application process. Consolidating your accounts starts with AWS Organizations, which allows you to combine your accounts into whichever configuration best suits your business. The way it works is that you can designate a master account (which receives the consolidated bill), and then create or move accounts under that account to create your billing family. Learn more with the AWS Organizations tutorial. The master account allows you to access the consolidated view of your cost and usage. This includes access to the AWS Cost Management products across all consolidated accounts. You can analyze your costs and usage across all accounts and, if necessary, dive deeper into individual accounts’ usage patterns and cost drivers using AWS Cost Explorer. From there, you can quickly take action on these insights by setting custom budgets based on your costs, usage, and reservations using AWS Budgets. Furthermore, using the Cost and Usage Report, you can view the costs incurred for all usage as well as the on-demand cost that would have been incurred for every hour of usage across all accounts. The member accounts costs include the benefits from the volume discounts and reservations across all your accounts. Typically, the master account reallocates the charges incurred by each account, often using the publicOnDemandCost column in the Cost and Usage Report. Depending on your business, it may not make sense to give some of your member accounts access to the AWS Cost Management products, as these products surface information relating to the volume discounts received across all your accounts and customers. You can turn off access to billing and cost management functionality using AWS Identity and Access Management (IAM), as well as within AWS Cost Explorer. Learn more about controlling access to billing and controlling access to Cost Explorer. To get started managing your AWS costs, refer to the AWS Cost Management webpages. To learn more about managing your AWS accounts using AWS Organizations, please refer to the AWS Organizations user guide.